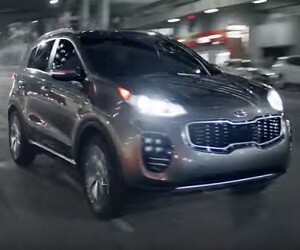 HP: “There’s a lot to discover in the all-new 2017 Kia Sportage. And by syncing your iPhone with available Apple CarPlay support, discovery has never been more exciting. Like finding that band no one’s ever heard of, at a club no one’s been to before”.